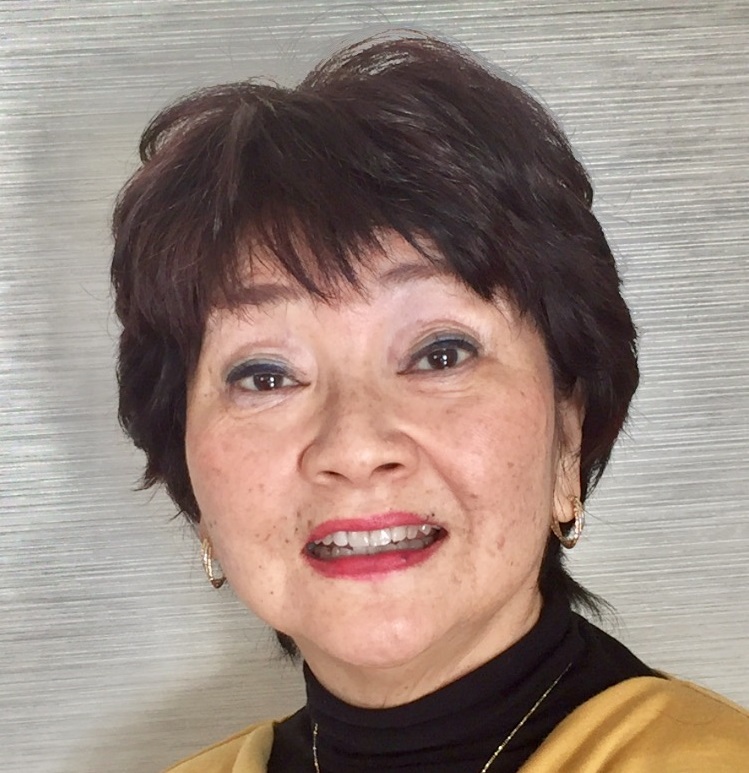 Ritsuko Nakata is a well-known author of English teaching materials for children and the founder of the IIEEC Teacher Training Center. A native of California, she majored in Oriental Languages at the University of California at Los Angeles (UCLA) before postgraduate studies at Columbia University Teacher's College, where she majored in Teaching English as a Foreign Language (TEFL). She has developed the renowned MAT (Model, Talk, Action) Method, a new teaching method to teach students of all ages effectively, naturally, and quickly. 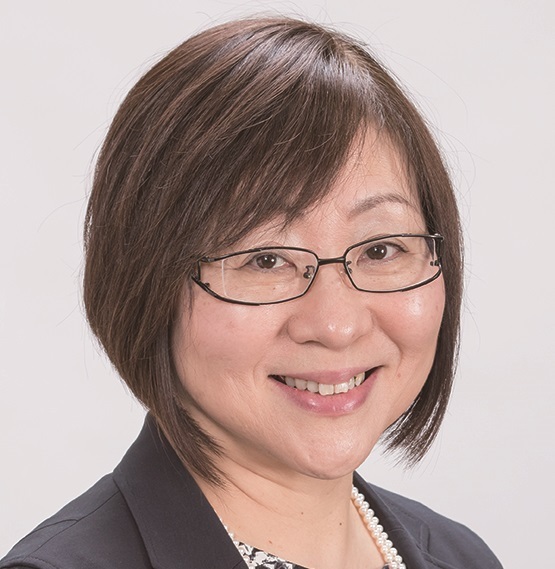 Ritsuko Nakata has written a variety of English materials for children and teachers, including IIEEC's own range of materials, the popular Let's Go series (Oxford University Press), and Koushite Oshieru Kodomono Eigo (Apricot). She is advisor to Kodomo Challenge English, a magazine series for preschool children published by Benesse Corporation. 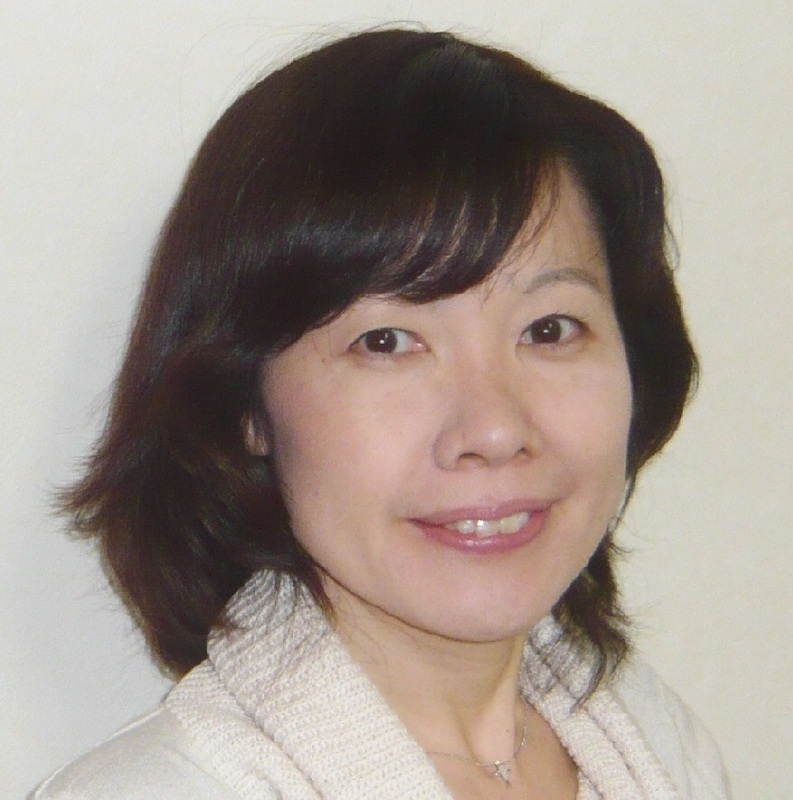 Ms. Nakata is a Specially Appointed Professor of Seibu Bunri University, Service Management Department. She is also advisor to Seibu Bunri Elementary School which uses her MAT METHOD in its English curriculum and the LET'S GO text series. Ms. Nakata is also on the Board of Directors of J-SHINE, the NPO project for training teachers in public elementary schools. She also volunteered her services as Chairperson for AETC (The Association of English Teachers of Children) for over 23 years. I lived in Los Angeles, California between the ages of three to six and in Fort Lee, New Jersey from eleven to fourteen. After returning to Japan I graduated from Gakushuin University, where I majored in French Literature. I worked in a Tokyo Branch of a French bank, and later taught Japanese to foreigners in Japanese. Although I attended schools in the States and have had teaching experience as a Japanese teacher, teaching English to children was not an easy task at first. I discovered Let’s Go at a book store and learned about the MAT METHOD. I took the IIEEC Certified Teacher’s Course in 2007 and became a MAT Certified Teacher. Now, teaching with the MAT METHOD, the lessons are enjoyable and exciting and I watch my students’ improvement with amazement. I became an IIEEC trainer in 2008. It is my great pleasure to help English teachers (they come from all over Japan!) to acquire the MAT METHOD. After graduating from Aptos High School in California, I came back to Japan and went to Sophia University and majored in sociology..
After teaching children for several years, I took the TOEIC test with a score of 910, and set up my own school in Asaka city, Saitama in 1997. I began using the MAT METHOD in 1998 when I began to attend IIEEC Study Group meetings and workshops. I attended the Tokyo Study Group meetings enthusiastically because the MAT showed me that although each student has a different character, different abilities and interests, they are able to speak English the 80% of the lesson time which always amazes me. Using the MAT METHOD, I would like to develop and expands my students' abilities even more. I became a trainer in 2009 and have presented at the IIEEC-OUP Teacher Training Certificate Program. I am happy to share the MAT METHOD with other teachers as a trainer. I was born in Hidaka, Saitama and went to the Holy Hope Lutheran High School in Hanno. After that, I attended the Lutheran High School in Los Angeles for a year as an exchange student. After I came back from the States, I taught English at Nissait English School and then moved to Matsumoto, Nagano, where I worked at Core Junior Club, teaching around 70 students, and met Mrs. Nakata and MAT in 1997. After I moved back to Hidaka, I opened my own school, the "Let's Go Hidaka English Club." I also teach at two nursery schools. I became a trainer in 2000 and have presented many workshops for IIEEC. I am very happy to be on the team to help teachers learn and use the MAT METHOD, and to help improve the English education for children in Japan. I was born and grew up in a small town called Mikkabi in Shizuoka. After graduating from Nagoya Women’s College, I started teaching English to children at Core Junior Club in Hamamatsu. This is where I first met Ms. Nakata many years ago. After teaching at the school for 5 years, I went to America to study TESOL at the University of California, Riverside. I researched and studied many teaching methods there, but I strongly believe that the MAT METHOD is the most successful method I have ever come across. I came back to my hometown from the U.S. with a TESOL Diploma in 1994 and rebuilt the school I had established in 1987, the AIEC English School in 2007. We provide fun, effective English lessons to all different age groups using the MAT METHOD. I love to teach English almost as much as I love my two children. I became an IIEEC trainer in 2000 and have presented many workshops for IIEEC. I have been working with elementary school teachers as a Mokasho Hammamatsu-shi Shogakko Eigo Katsudo Trainer since 2007. I really am excited about sharing the MAT METHOD with other teachers! In my 35 years of being an English teacher, meeting Ritsuko Nakata and the MAT METHOD definitely was one of the highlights of my teaching career. Being in Japan in this EFL setting, we need a systematic and effective way of teaching. Especially for us nonnative teachers, the MAT METHOD is a great solution. I hope many teachers will learn the MAT METHOD and raise many “EIGO JIN” who are true communicators of English in this global world. After graduating from Waseda University, I became a high school English teacher. However, I moved to the US for my husband’s work and after returning to Japan, I opened up my own English school for children in Tokyo. In 2003, I took the MAT METHOD training course and I became one of the first MAT Certified teachers the following year. Later I went to Los Angeles to study TESOL at the UCLA Extension where I completed the TEFL Program and received a TESOL Certificate. I taught ESL for several years to Japanese students who were learning English in California. After I came back to Japan, in addition to teaching at my own school, I started to work at a private elementary and junior high school, teaching grades 6 and 7. It was a great experience for me to learn how to get students to make a good transition from elementary English to junior high English. I really enjoy teaching and have a great time with my students. In order to produce better results in teaching EFL, I believe MAT is the most effective teaching method for children. I find great pleasure in helping teachers learn and use the MAT METHOD in different class situations for any levels. I'm looking forward to seeing many enthusiastic teachers at our workshops. I graduated from Massey University in New Zealand with a Bachelor of Arts in Linguistics. After graduating, I came back to Japan and taught adults at an English school, however, I couldn’t give up my dream of teaching English to Japanese children. To make my dream a reality, I opened up my own English school, INTERAS in my hometown, Nagoya in 2001. I attended a MAT Seminar, where I first met Ms. Nakata in 2002. I was very impressed by the MAT METHOD and decided to take the 6-month IIEEC Certified Teacher Training Course and commuted to Tokyo once a week. After finishing the course, I obtained qualifications as an IIEEC Certified Teacher and School and had training from Ms. Nakata to become a trainer in 2005. （the IIEEC 60-hour Certificate Program）　I have given workshops and training at the IIEEC-OUP Teacher Training Program in Tokyo.? ?I am now in charge of the Nagoya Study Group meetings. I attended my first IIEEC Study Group meeting in 2003. I knew then that, “This is it!” With the MAT METHOD, you can make your lessons student-centered and have your students TALK in English. I became a staff member in 2004 and I am now training teachers at our meetings. It is my pleasure to be able to share this effective method with all of you. Please come to our meetings. After graduating from Kansai Gaidai University, I worked for several years at Obunsha LL School. However, after getting married and having children, I set up my own school, “KIDS’ English Club” in 1989 and I have been running it in Osaka ever since. I shall never forget the day one of my colleagues first took me to the Osaka Study Group meeting in 1998. Learning about the MAT METHOD was an encounter of the unknown for me! But it was fate! I am fascinated by MAT and the more I learn, the more it interests me. I still have a lot of to learn about it. I have been on the Osaka Study Group staff since 2001, and I shall treasure the meetings with my colleagues and the many teachers who participate in our Study Group and learn more about the MAT METHOD together with them. I am happy to support our Osaka Study Group and help train the teachers. After I graduated from a junior college, I got a position as an English teacher for kids at BIC English School in Osaka. However, after I got married, I transferred to a university to get a teaching license. I returned to the position at Bic after having 3 kids. Now I work in several schools and teach English from infants to high school students. I live in Nara. I studied for a year in high school in Michigan and after graduating from a junior college in Japan, I worked as a secretary in a steel company, assisting American customers when they visited Japan due to my husband’s work, we moved to Okayama where I worked for Minerva English School for Children for a year. After returning to Kobe, I opened a school at home in 2008 where I taught from 2 years old to junior high school students. I began to attend the Osaka Study Group meetings in 2014 and was amazed at how hard my students concentrated and how delighted they were with my lessons when I introduced the MAT METHOD to them for the first time! Since then, I have been attending the Study Group meetings and became a staff member after taking 2-Day MAT METHOD SEMINAR twice and completing the 6-module course in Osaka. I would like to keep growing as a teacher and looking forward to meeting many teachers at the Study Group meetings. I began teaching English to children in 1985 and worked for Core Junior Club for twelve years. Ms. Nakata came to train the teachers during this time, so I have known her for a long time. I established my own school in 1998 using the MAT METHOD. MAT not only makes lessons and games enjoyable, it has certain techniques to make them effective. Compared to when I used to teach wasting time just playing games, MAT saves time, but keeps the lessons fun and effective. I began participating in the Fukuoka Study Group meetings enthusiastically in 2002 from my home in Miyazaki. Around the same time, I began teaching in the public elementary schools and now I am fully involved in teaching 10-15 hours a year in their English program. I have given workshops for other school teachers in my area as well. The MAT METHOD is great for teaching large groups effectively and with lots of fun and I can also confirm that students really do learn and retain the lessons well. I encourage all school teachers to learn how to teach with MAT. I have been on the Fukuoka Study Group staff since 2004 and I am enjoying training teachers and presenting workshops for them. I majored in English at university and studied in America while attending school. After graduating, I worked in the foreign exchange section of a bank, but began teaching English to children after I got married. I opened my school in 1989 and ever since have been finding happiness every day in watching the sparkle in my students’ eyes as they learn. I have tried many different methods in teaching, but I have not experienced the success that the MAT METHOD has given me since I attended my first MAT workshop in 2001. My students can learn without pressure and have fun, but the thing that has amazed me is that they can master the target language well. It is even an effective method to use in large classes such as in public elementary schools. I have been on the staff of the Fukuoka Study Group since 2006 and look forward to training and meeting many teachers at our events.